Check us out on Instagram and Facebook for more pictures, our user name is exquisitepets you can also search for #exquisitepets to help lead you to us. If you are a customer and would like to show your beautiful new family member off add @exquisitepets to your comment so we can watch them grow!! Have you purchased a puppy through us? If so, please specify your name and contact information so we can easily match review pictures with the appropriate review. Please email any pictures to exquisitepets@gmail.com stating which review you would like them connected to. Where you pleased with the breeders services? Comment; Please specify exactly what you liked or did not like about your experience. The more detail the more we can improve! 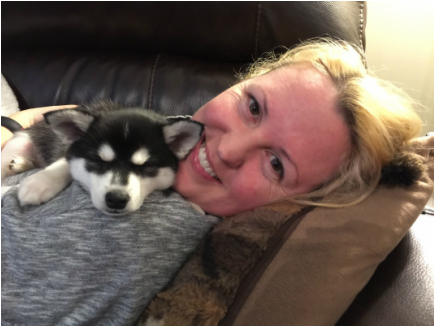 We got Tellie, an Alaskan Klee Kai, at the end of July when she was 8 weeks old. We worked with Angela and she was fantastic! She kept us updated on Tellie with pictures and information on how she was doing with the other dogs and family members. Tellie has been absolutely fantastic. She is so sweet and smart and it was obvious that Angela had already started working with her on basic commands before she came to us. 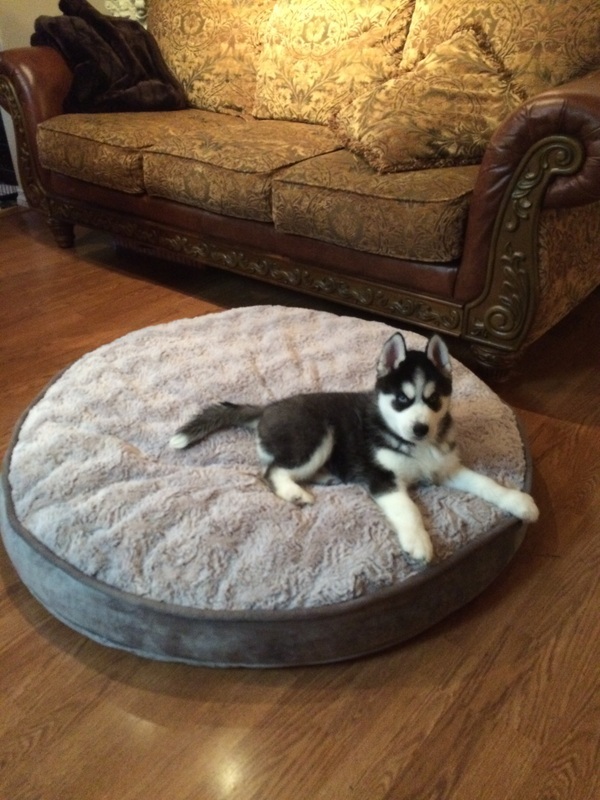 Tellie is perfect in every way and I would recommend Equisite Pets to all my friends and family looking for an Alaskan Klee Kai. I had a great experience with Exquisite Pets! Angela kept in contact with me prior to taking our little boy home and very quick at responding to any questions I had along the way and keeping me up to date with photos also! Rosalie is my whole world! She is my child, my best friend and apart of my family. Seriously the best dog we have ever had in our family. She has such a unique personality and I just love how small and cute she is. People still think she is a puppy even though she just turned 3! So so pleased with this breeder! Debbie and I were very pleased with the entire process leading up to bringing Jasper home. The communication was excellent. Kala was always fast on reply's and sent us lots of pictures as we waited for Jasper to be old enough to come home. We asked to visit Jasper and Kala was very accommodating. We got to see first hand how Kala and Matt took care of the puppies. Their Daughter Bree was always playing with the puppies. We noticed this results right away when we got home. Jasper was not afraid of my daughters and was super playful with them. Jasper is a very friendly Puppy who you can see was raised with love & care. I have already recommended Kala to friends and I will continue to do in the future. We high recommend Kala and her family a a breeder. Jasper with part of her new family! 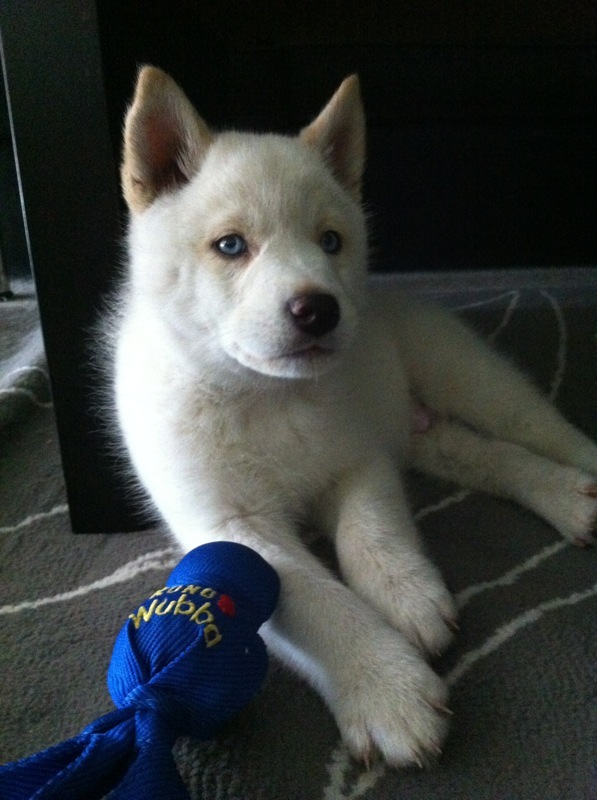 We are first time dog owners and purchased our Siberian Husky, Winter, through exquisite pets. Kala was extremely helpful and patient throughout the process. She was easy to reach and happily answered all the questions we had. Kala kept us updated on how Winter was doing and regularly sent us pictures of her. What we really loved was that Kala asked us what our dogs name would be and began calling her Winter so that she would be used to it by the time she got home. We've had Winter for 2 days now and we are extremely happy. Winter is well behaved, socialized and has transitioned to her new home very well. On her first day home Winter learned sit & shake hands! We have taken Winter out a couple of times and have received compliments on how calm and well behaved she is. Thank you so much Kala and Exquisite Pets for making our first puppy experience such an enjoyable one! Walter/Radagast was already so well potty trained and socialized when he arrived to us! Melissa was extremely patient with me and sent me weekly photos of Walter growing up. I am overall extremely happy with my entire experience with Exquisite Pets. He also looks exactly like his father Vader! Pictures of Walter to go with our review! Thanks again!! Walter is a pup from Padaema and Vader's litter. He is about 10 months old now and 12 pounds. You can totally tell he is Vader's son!! Happy and healthy!! Cobie is so well socialized, it blows my mind. He is a healthy, well behaved, playful, and cuddles. I couldn't imagine a better pup. I am so very pleased with Exquisite pets in all aspects. I can't thank you enough! UPDATE IN OCT, 2014: Cobie graduated from puppy school today! He has mastered down, sit, stay, come, shake, loose leash walking, leave it, take it, drop it, off, stay, release, and he just started the basics of heel. 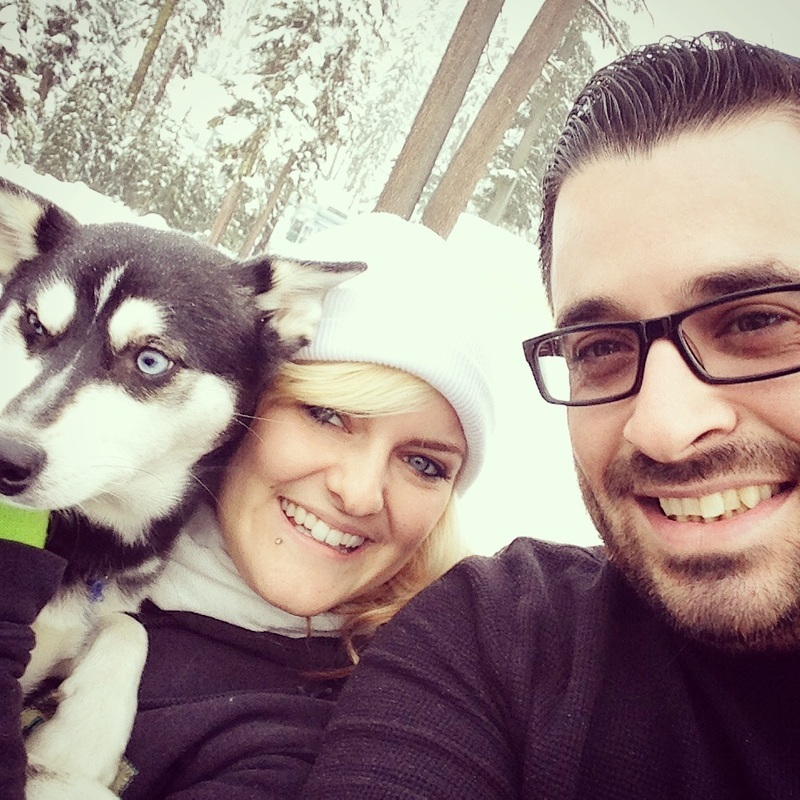 UPDATE IN DEC, 2014(PICTURES WILL BE ADDED TO THE SLIDESHOW ABOVE): Cobie had his first snow trip this weekend! He absolutely loved every part about it I went ahead and attached a video and a few photos. He also got neutered yesterday. Poor guy! We had to wait a bit longer to get this done because one of his testicles didn't drop. He is pretty sleepy. When he got home, he laid down, cuddling one of his stuffed animals. It was adorable - so I added a photo of that too. All other blood work and tests came back great! He is very healthy - weighing 20.9 lbs! New things: He gives high-fives. It's cute. We also go for short runs which he absolutely adores! He is definitely an active pup! Thanks again, and have a wonderful Christmas! 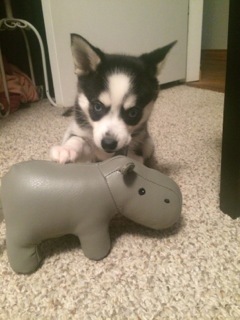 Luna is my new puppy and I am so pleased with her. The service that Kala provided was outstanding. She e-mailed back right away and answered my many questions, along with sending weekly photo updates. Luna is the sweetest little puppy, she is so gentle and cuddly and loves to play. I would recommend exquisite pets to anyone and would definitely purchase another puppy through them! It was a great experience. We really liked getting updated pictures of the puppy while we waited for our pick up date. He's fitting in great at home and is a happy, snuggly, puppy. We have a great little Minni St Bernard who goes by the name Kammi now (was Robin). She loves people, was not a problem integrating with our other two dogs (Dauschaunds - boy are they surprised she's taller than them now!) and loves and follows my little 3.5 year old granddaughter everywhere! She has a great personality and loves outdoors. I would definitley recommend one of these puppies to anyone...ours is a little doll! We adopted kaiya, previously river. 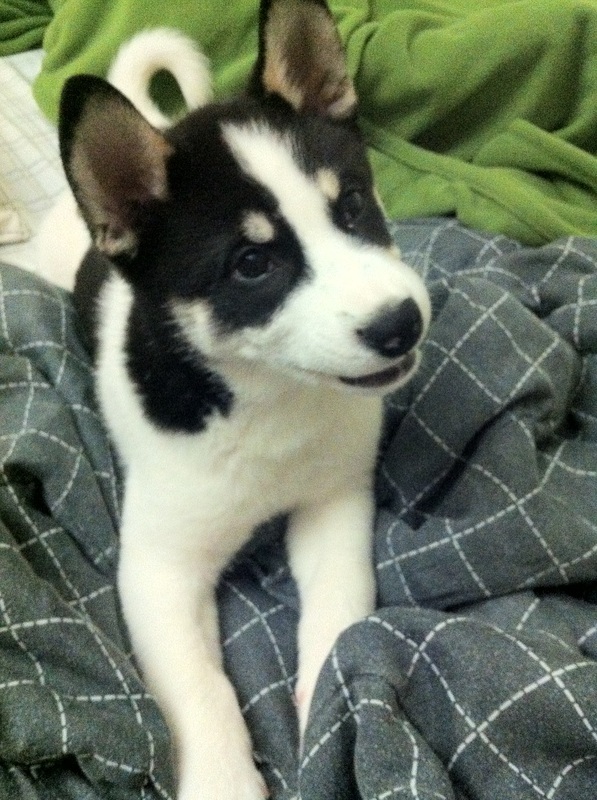 A full bred Siberian husky. 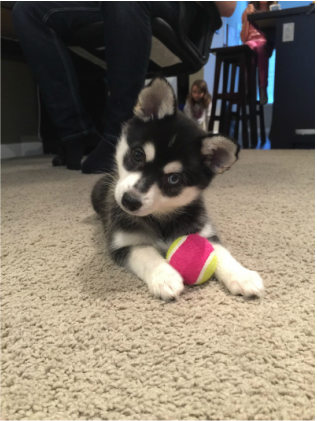 We are so happy with our puppy kaiya, she has the best personality and has been adjusting beautifully. Strangers constantly come up and mention how beautiful she is, and I couldn't agree more. Kala the breeder has been fantastic. Weekly updates with pictures, and prompt answers to any emails we have sent, and especially during Christmas time and New Years when that can be tough! We only had one small miscommunication when we were first meeting up for the initial meeting and deposit, but everything worked out for the better. Like I said, we couldn't be happier with our puppy. She's absolutely perfect, and I will send picture updates as she gets bigger! Juno (formerly Rose) has been a great puppy! She is a very social and playful pup. Kala kept me up to date before she was able to come home and checked up on her when her plane landed. We are all very happy! experiance. The more detail the more we can improve! love his markings. Thanks again. Comment; Please specify exactly what you liked or did not like about your experiance. The more detail the more we can improve! We have nothing but good things to say. Both with our puppy Rex (who has the absolute best personality) and with the breeders (who were great to work with). 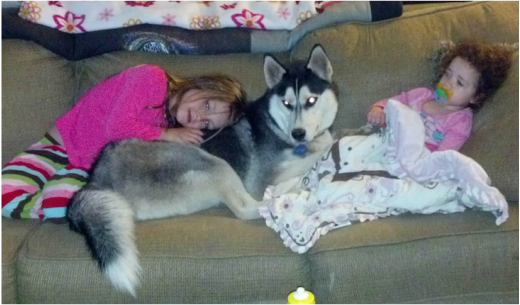 Our dog was already well socialized when we got him.... and is so friendly with strangers and kids. He slept the night almost immediately and we love him!!! If I were to have one suggestion I would say maybe a bit more detailed vet records. Other than that..... we are thrilled... and we consider ourselves lucky!! like about your experiance. The more detail the more we can improve! will be sending friends and family your way in the future! 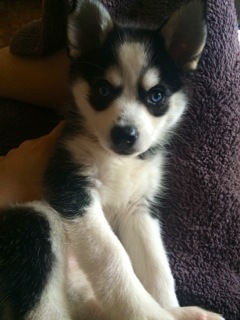 we absolutely loved what you guys have done and are doing, we totally love our husky puppy "chance". that is his favorite game. every time we come home he is so excited to see us. great personality!!! again thank you so much!! perfect health! about your experiance. The more detail the more we can improve! socialized! I just love him so much! Well it's been almost 2 years since Lambeau was born. I just wanted to say thank you and include a few of my favorite pictures of him. He is such a smart and sweet little boy. He gets compliments everywhere we go! He just reached 38 lbs this year and I couldn't be happier that I found you guys and was able to make him a part of my life. When they first brought him home. the more we can improve! quality breeder for the perfect addition to their family! whole weekend with my puppy. Overall services and product is 9 out of 10! already began recommending friends to you. We couldn't ask for a better pup! Exquisites Pet. Thank you so much. We had a great experience with the breeder. Angela was easy to communicate with and when we took Zoey home she was already socialized and practically potty trained. Zoey has been the best little pup! She is a beautiful dog, but also very intelligent and sweet. We are so happy we found the perfect dog for us with Exquisite Pets! healthy, so active and totally adorable. really recomend anyone to have one of those incredible creatures. Thank you to everyone who has provided one, or more, of our puppies with a loving forever home and family! Thank you for your input! Any information you can give is vital to help improve everyone's experiences.